No matter what you tell your college professors, we all know that Wikipedia is everyone's go-to source for basic information about pretty much everything. So when women are massively under-represented on the site – both in terms of editors and in terms of subjects – it's a big problem. Which is why Britain's Royal Society, a 350-year-old institution dedicated to science (not that I got that off Wikipedia or anything), is working to fix this problem by hosting an edit-athon to bulk up entries for female scientists. It's similar to an event held at Brown University in 2013. According to Dame Athene Donald, a fellow of the Royal Society and professor of experimental physics at Cambridge University, "Many female scientists are either not there at all on Wikipedia or just [have] stubs." And while you might expect this to be true of female scientists who lived way back in the day when no one was interested in giving them credit or talking about them at all, Donald says that the problem isn't just confined to past examples. "It's not just the historical characters, it's the current ones," she tells the Guardian, "and these very eminent women just somehow get overlooked." Wikipedia, according to its own Wikipedia page, sees over 500 million monthly unique visitors to its 30 million articles, 4.4 million of which are in English. It ranks fifth among global websites, trailing close behind giants like Facebook and Google. However, some studies suggest that as few as 8.5 percent of its many editors are women, and Wikipedia itself estimates that the number is no higher than 15 percent. Predictably, having a male-dominated editing group leads to underrepresentation among female subjects. Which, given Wikipedia's popularity, creates a big problem. This problem may be especially important in regards to the sciences, where some point to a lack of role models as a major reason why so few women pursue STEM careers. The Royal Society's edit-athon hopes to correct this. The event, scheduled for March 4th, will provide a crash course in wikipedia editing, and is open to online participants as well as anyone with a ticket to the free even in London (as of press time there are only four tickets remaining). The event's Wiki page already has a list of nearly thirty women, from engineers to microbiologists, who don't have Wikipedia entries or whose entries could use additional information. 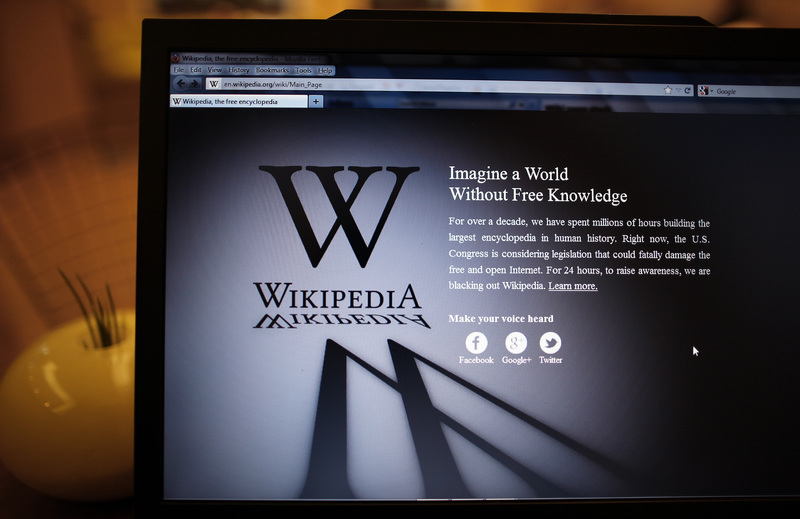 The organizers also hope that simply by training more women in the ins and outs of Wikipedia editing that these women will feel more confident making edits and that, slowly, the gender imbalance among Wikpedia editors will become smaller. "There is the hope that by training more women not only will they do a good job of [creating] new entries but they will also become more confident about doing this more generally, and that will change the sorts of things that are done," said Donald. Now that is a Wikipedia project we can get behind!